The girl knows she’s different. She doesn’t age. She has no family. She has visions of a past life, but no clear clues who she really is, or her name. But there is a face in her dreams—a light that breaks through the darkness. She knows his name is Gabriel. One night, the girl encounters an injured stranger named Jonah. She learns that Jonah belongs to a generation of vampires that is threatened by darker forces. His kind are fighting with help of unlikely allies—archangels. Including one named Gabriel. 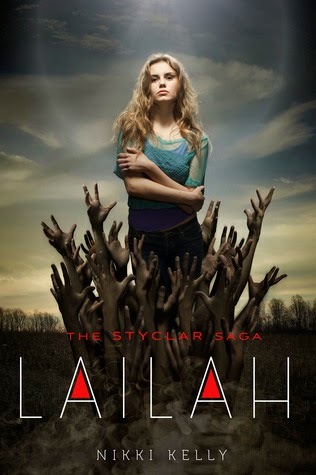 In the crossfire between good and evil and life and death, the girl learns her name: Lailah. But where does she belong? Gabriel and Jonah both want to protect her. But Lailah will have to fight her own battle to find out who she truly is. This sounds soo up my alley! Great choice.